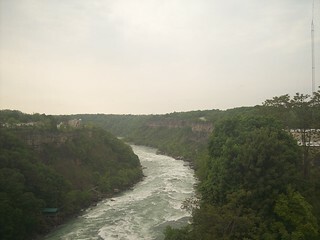 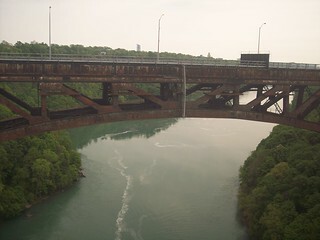 Looking north as we cross the Whirlpool Bridge over the Niagara River. 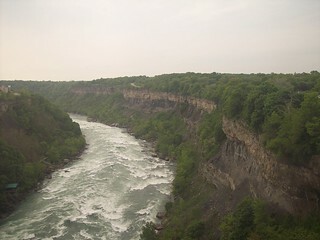 Looking south as we cross the Niagara River. 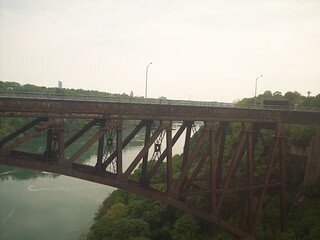 An old abandoned railroad bridge crosses the river next to us. 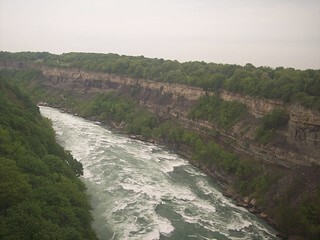 The falls are a little further south of here. 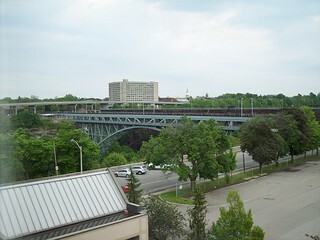 A view of the whirlpool bridge from our hotel room.